Local Summer Produce Is Rolling In! 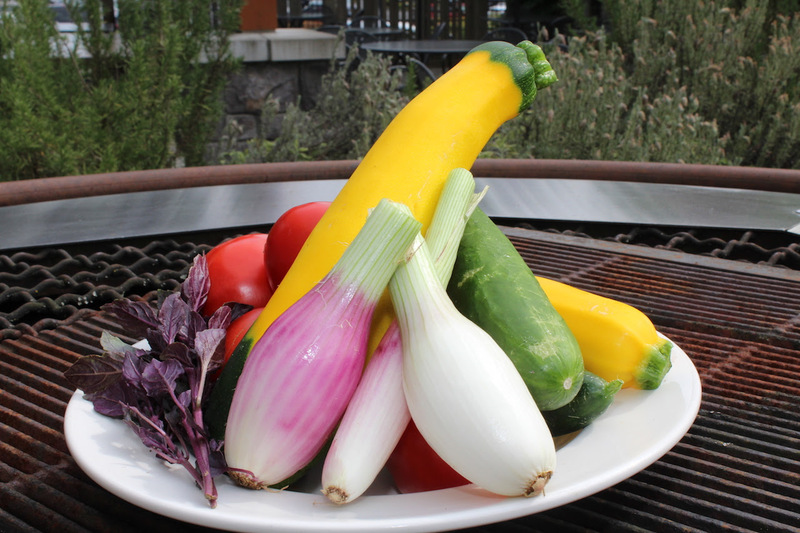 We pride ourselves on supporting local farmers and with Summer upon us- the beautiful produce is in season! Pictured above are torpedo onions from King Fisher Farm, purple basil from Dilish Farms, squash and cucumber from Tamla Gardens, and who could forget the delicious tomatoes from Flamingo Ridge! All of this amazing produce is utilized in this weeks menu so stop by and sample some of the best local farms have to offer! Previous Post: « Feast Portland Kicks Off Third Annual Matching Challenge Donation Campaign!